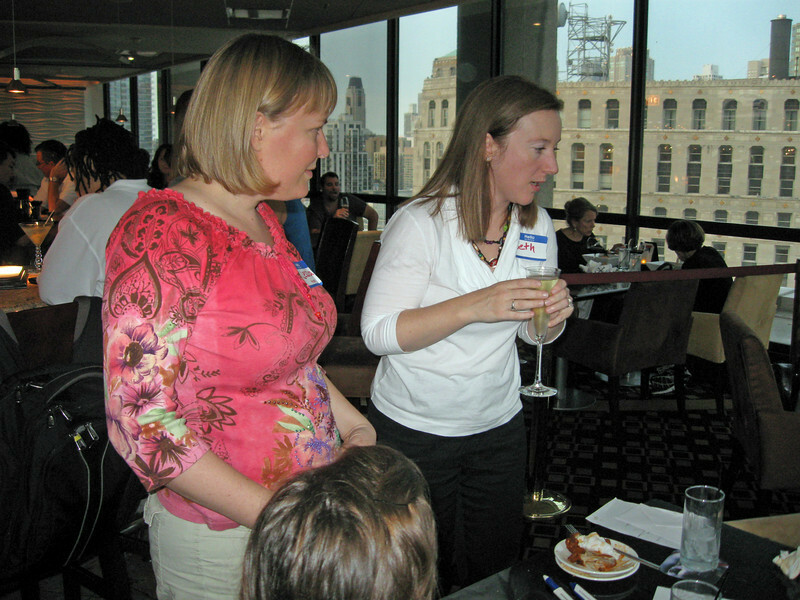 Women of the ELCA's Chocolate Lounge: A networking event for young adult women took place in downtown Chicago at the Holiday Inn Mart Plaza. Women socialized and ate chocolate desserts while learning more about Women of the ELCA grant recipients from 2009, Bright Endeavors and New Mom's Inc, and discussed the on-line magazine for young women, Cafe. The editor of Cafe, on the right, speaks passionately about Cafe, Women of the ELCA's on-line magazine for young women and how Women of the ELCA is making a difference.